Catherine our SNA has being doing great work with the children in the past few weeks. 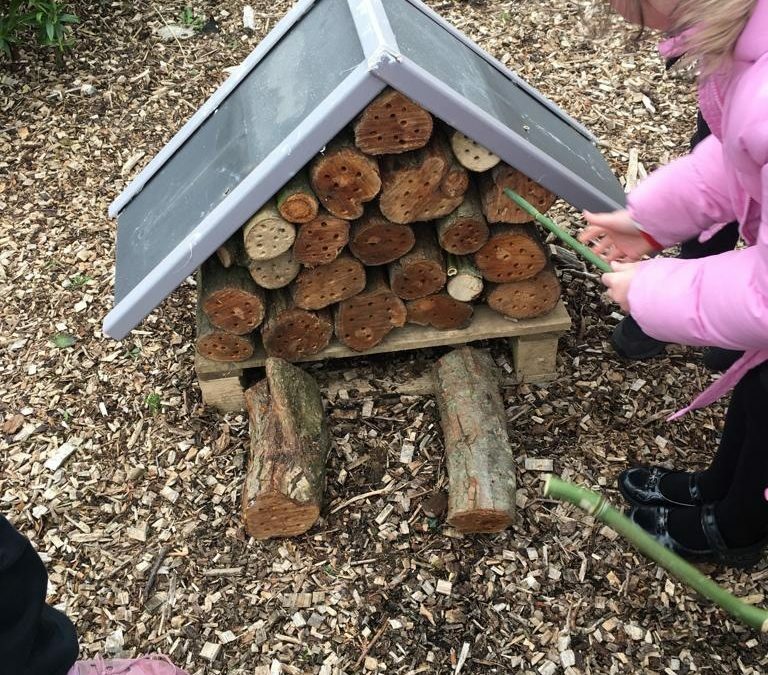 Thanks to Tom our caretaker for building the new Bee Hotel. The children have been busy planting seeds and weeding outside in our garden. A big thanks to the parents group for funding our new garden gloves! !